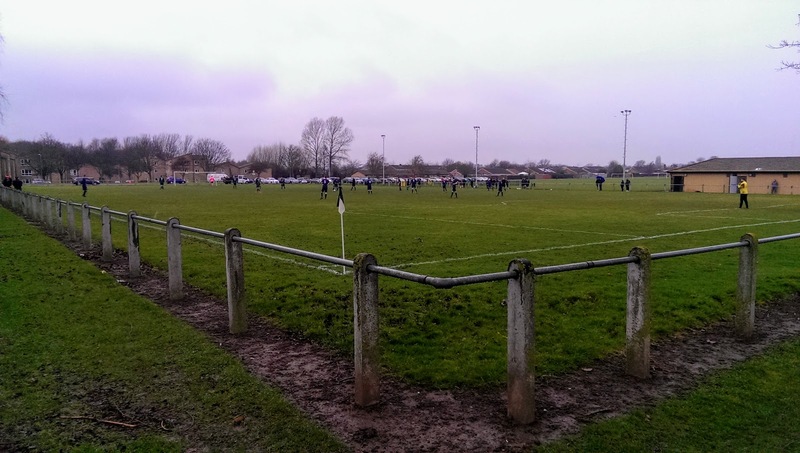 The town name came into existence about 800 AD when the land was given by Halfdene - King of the Danes, to Thormod, one of his noblemen, therefore "Thormods-by" – Thormod's farmstead. 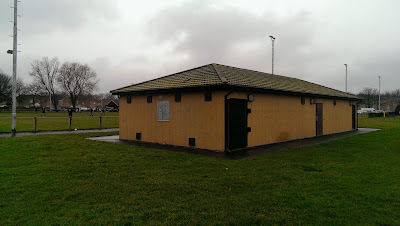 The former Royal Air Force Station operated Fighter Command, Bomber Command and Coastal Command, but its stint under Coastal Command is what the base was notable for, particularly in the air-sea rescue environment and the development of the Thornaby Bag. This was an emergency bag dropped to downed aircrew at sea and contained food, cigarettes and drink. 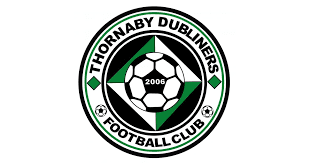 Thornaby Dubliners FC formed in 2006 out of the Dubliners pub in the north end of the town. 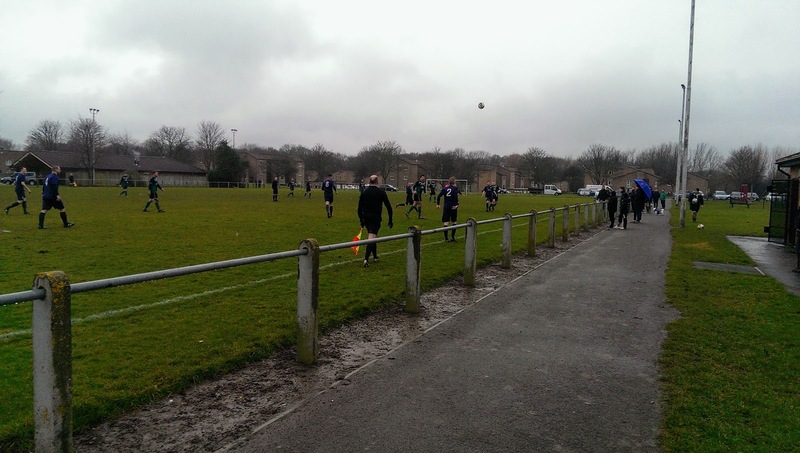 Their best performance in the Teesside League came in 2012-13 season, finishing runners-up to Acklam Steelworks, missing out of the league title on goal difference. I set off down the A19 in the driving rain just before 1pm. 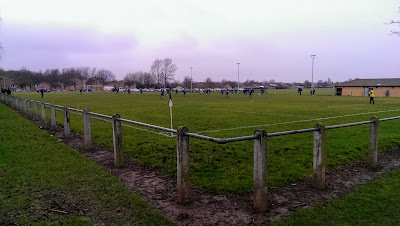 From the motorway its a quick drive along the A174, which brings you to the south end of Thornaby where the football ground is, so I arrived a good quarter of an hour before kick off. The Dubliners are based at the Harold Wilson Recreation Centre, which has three football pitches one of which is fully railed, with a changing room block at one side and plenty of car park space behind the goal. 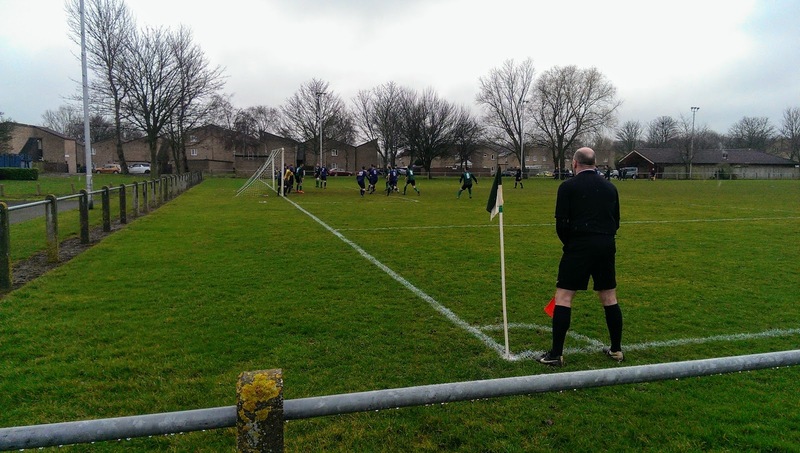 The Dubliners got off to a dream start, gaining possession from the kick-off, they broke down the left flank and the cross found Gaz Mitchell, who slotted home with just 28 seconds gone. 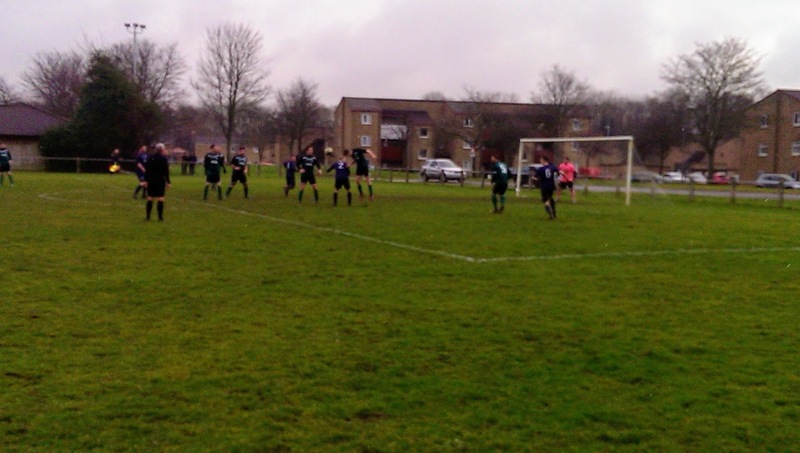 After a nervy start the visitors finally settled and equalised on 2o minutes when the ball broke free in the box for Chris Norlund to fire in with his right foot. St Mary’s shaded the second half on chances created and they looked to have won the tie when they were awarded a penalty with twenty minutes remaining. When clear through on goal the no.7 was brought down by the ‘keeper, although the home team reckoned that the player actually slipped on the clarty pitch and wasn’t fouled at all. 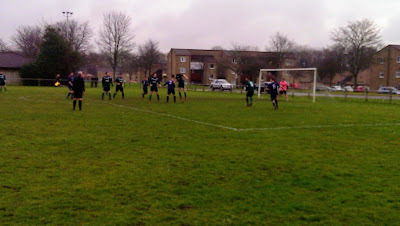 The resulting spot kick was saved by Pat Pisani, who celebrated with a volley of verbal abuse towards his opponents. 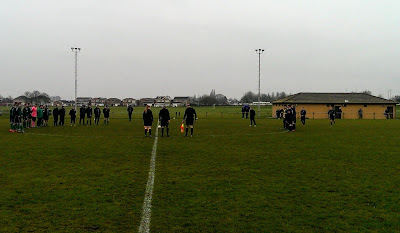 The match looked to be heading towards penalties, but with just five minutes left the Dubliners clinched it, when a ball from the left was fired in by close range Jake Maughan to book their place in the semi-finals of the Lou Moore trophy.